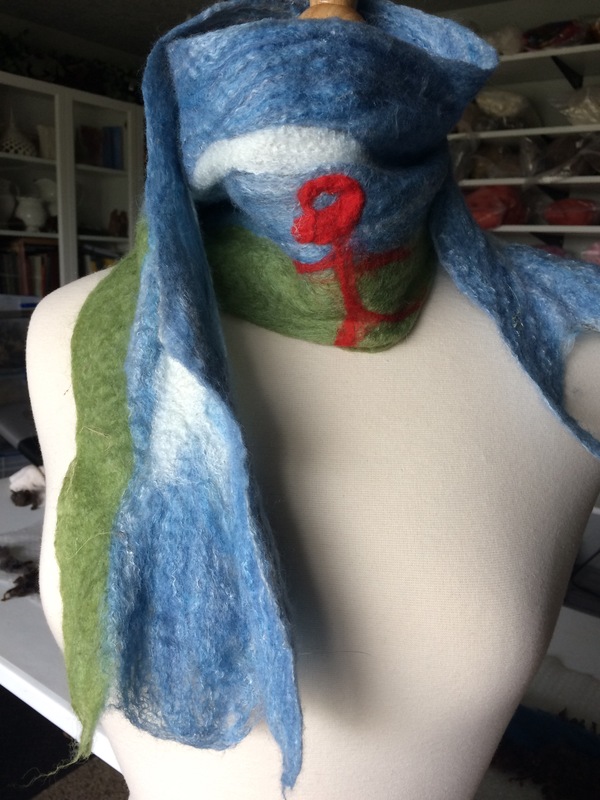 Last Christmas I helped my grandkids felt scarves for their father and grandfather. They had so much fun they were begging me to let them make scarves for themselves. I told them that I would let each of them make a scarf for themselves as their Christmas present. Well, finally I kept that promise. 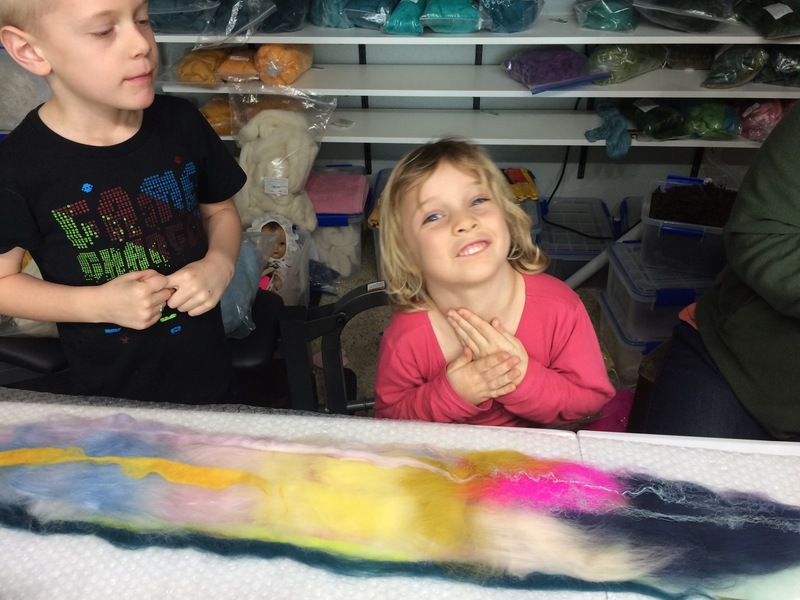 With a little supervision and help, felting can be a very gratifying craft for children. 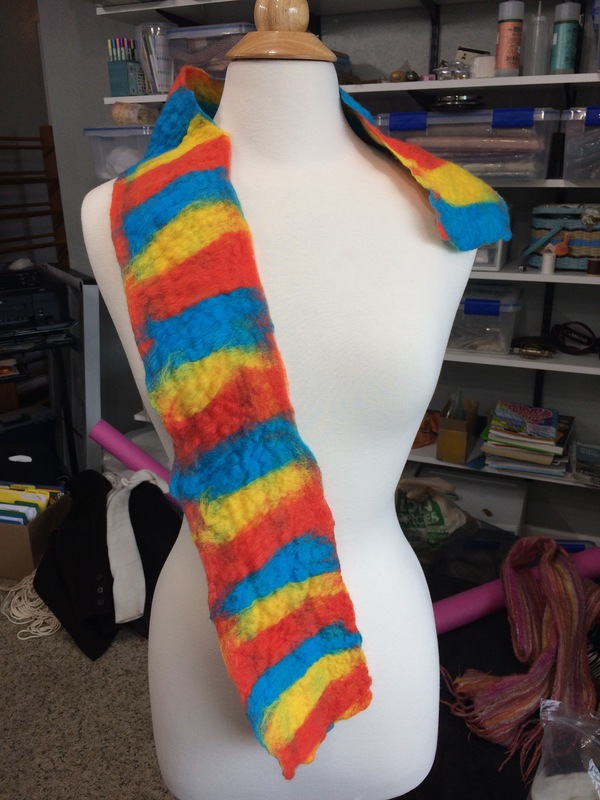 Melanie and I helped her youngest two put together small scarves and the results were nothing less than wonderful. 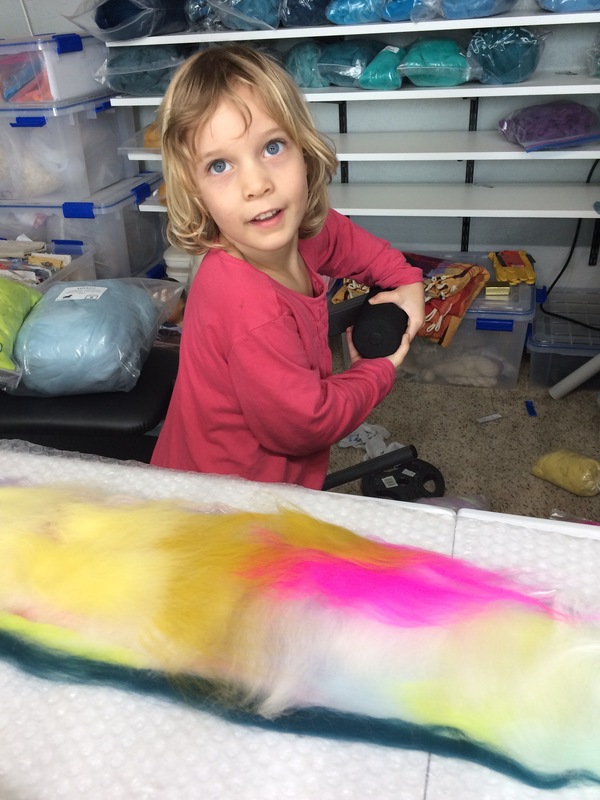 For her youngest, Heather, Melanie helped her pull all the “chosen” colors off the shelves and open the bags and help her pull out appropriate amounts of color, and let Heather place the colors where she wanted them. Occasionally Melanie had to help her adjust for thickness. Once the colors were laid out and prepared for rolling, we let Heather begin the felting process by rolling the bundle herself for a while. 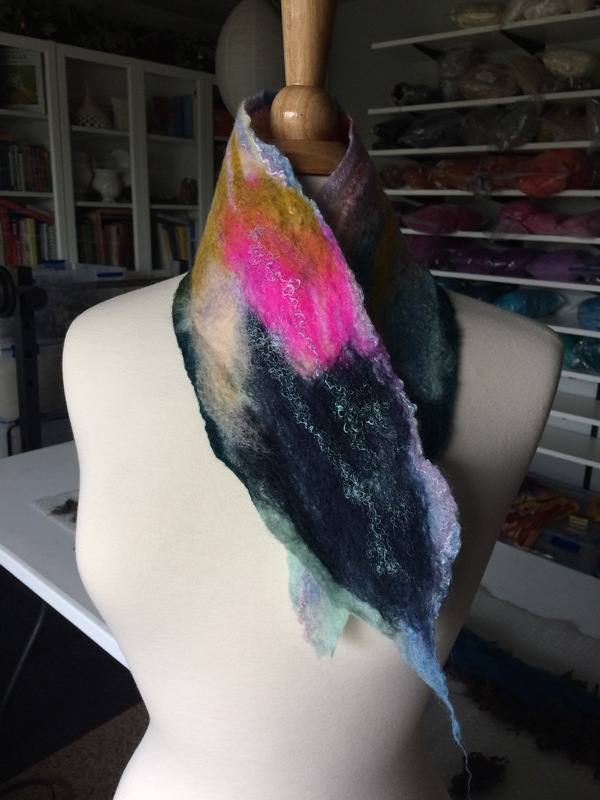 This gave Heather the opportunity to experience the felting process for a little while. After that Melanie finished it up. 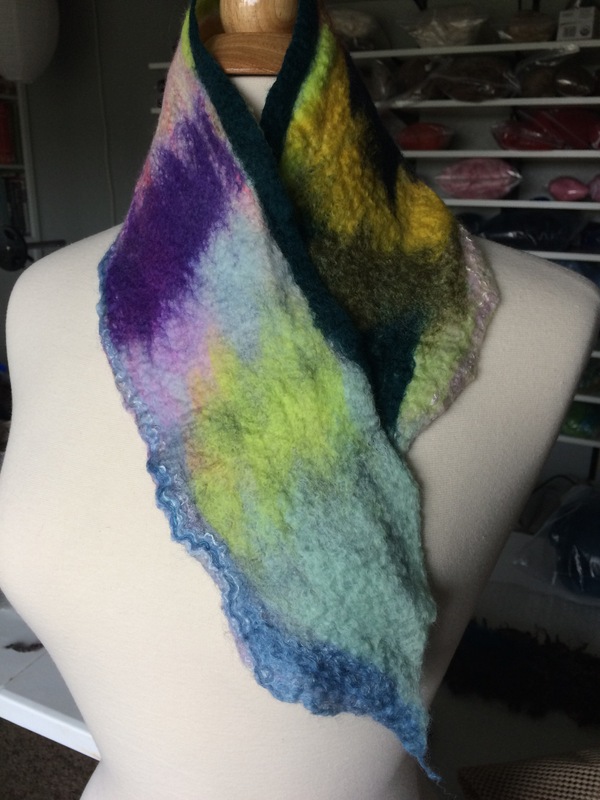 Melanie had to resist the urge of advising on colors and placement to let the project be purely Heathers art, and as you can see from the photos below, the results were truly stunning in Heather’s reversible scarf. I was helping Michael with his scarf. Michael was much more self-sufficient. All I had to do was show him how to pull the fibers off the roving and place them and he was on his way. He placed every fiber for his scarf himself, as well as picking out his colors and pulling them from the shelf himself. When it was time to roll the bundle for the felting process he did most of that as well. 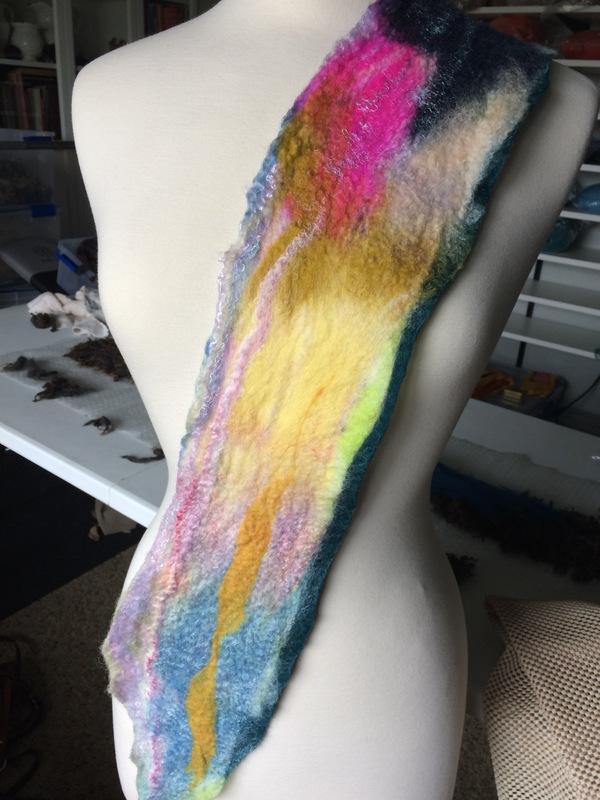 He was so pleased with his scarf when it was finished that he couldn’t wait for it to dry thoroughly, but put it on and ran outside to play. 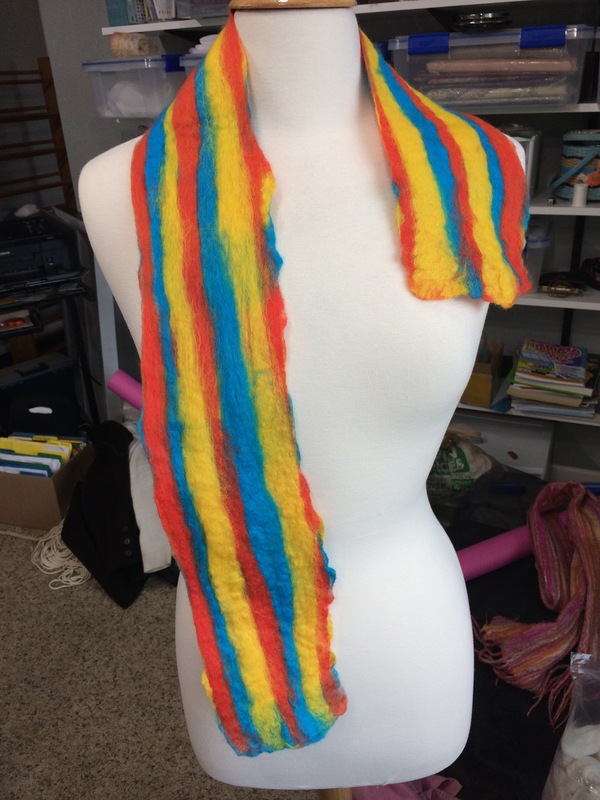 Below are photos of Michaels scarf. After Heather and Michael finished their scarves, Jacob wanted to start his. I told him I was too tired but he said he didn’t need any help so I let him go ahead. He remembered how to do it pretty much, from the time we made the Christmas presents, so he just went to work. 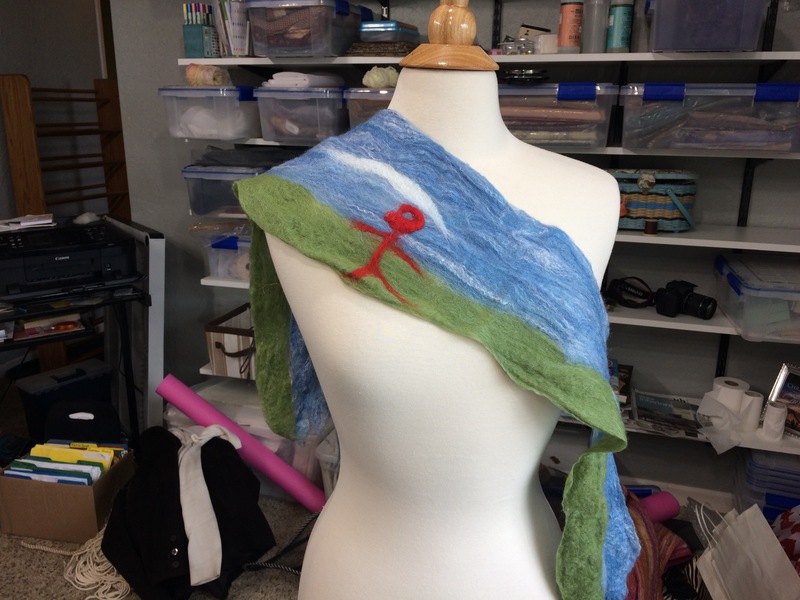 I guided him only a little and when he had finished laying out the scarf, I helped him set up for felting. 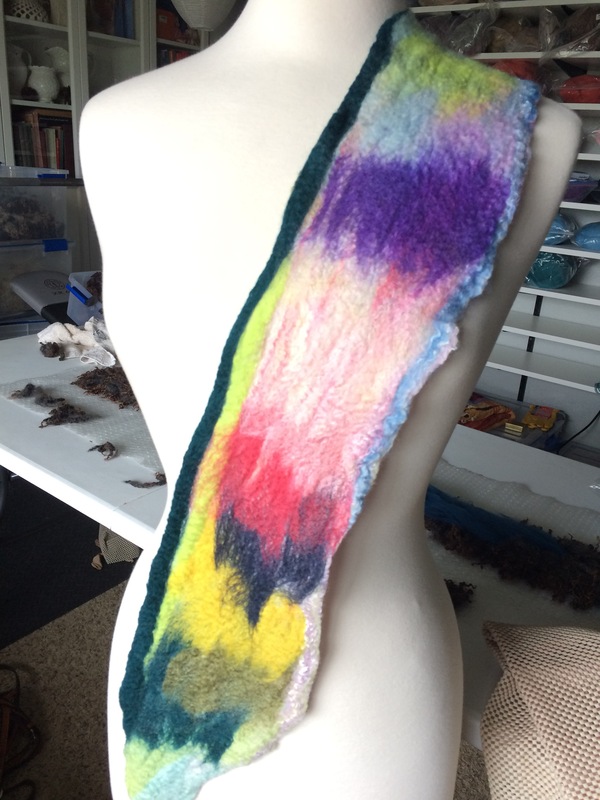 He had to go home before he was finished so I finished up his felting easily once he was gone. Below are photos of the result! They had so much fun it was a real joy to help them. I would be willing to teach young children’s workshops if a parent comes along for each child in case they need help. Older children, 14 and up, are capable of the entire process themselves. 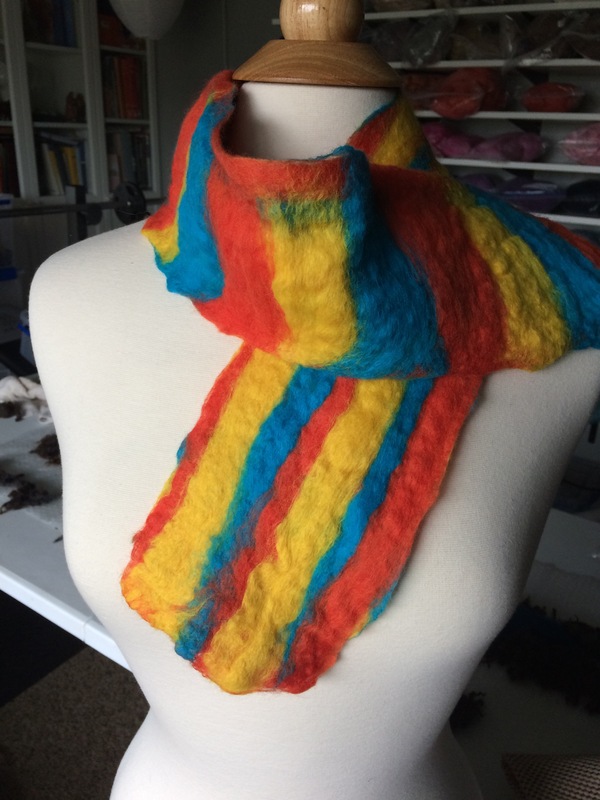 If you or your children are interested In a felting Workshop please contact me. I would be happy to set something up. Thanks Cheryl! I agree, they are adorable! Next Next post: Beading a sweater for prom.